Dave and Philippa Staton fell victim to a surprise 9,500 euro back tax after buying a two-bedroom apartment in Duquesa. It came after the local town hall wrongly applied a ‘completely unrealistic’ property value on the flat. The seven per cent property transfer tax – that is catching out numerous property buyers around Spain – is levied not on the actual price paid but on values set by the town hall often many years earlier. “These are usually well out of date and completely unfair,” explained Phillipa Staton, 44, a software developer from the West Midlands. Now, on appeal, the couple have had the bill reduced to just 60 euros. The problem has emerged as the inland revenue (Hacienda) has set minimum sale prices for tax purposes, despite property prices plummeting everywhere. 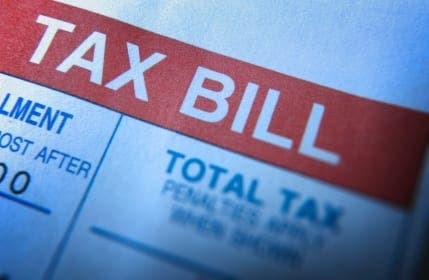 It means many unsuspecting buyers later receiving an additional bill for the difference PLUS interest for late payment. “Three months after the sale was completed Hacienda demanded another 9,500 euros, and we went into a panic” explained Staton. “The valuation was ridiculously high and we were paying the same as someone who has a two bed villa. According to lawyer Roberto Sanchez from Marbella-based Lawbird it is a growing problem. “It has become a big issue with the recession, particularly here on the Costa del Sol which has one of the highest values in Spain,” he said. “The valuations are based on prices from a few years ago and with the current climate it has become ridiculous. “The valuations should fall to match the fact that prices have changed but it is beneficial to the town halls as they get more money. This entry was posted in In the Media and tagged Lawbird, Roberto Sanchez on January 5, 2012 by admin.